California is about to close a loophole that let people drive newly purchased vehicles off the lot without license plates. Starting Jan. 1, any vehicle purchased or leased at a dealership will be required to display temporary license plates. Currently, dealers send paperwork to the DMV, which then sends front and rear license plates to the vehicle’s new owner. The process can take up to a month, but drivers can actually drive around without plates for 90 days after the purchase date. The new law has been a long time coming. At one time, drivers could wait 180 days before installing plates. 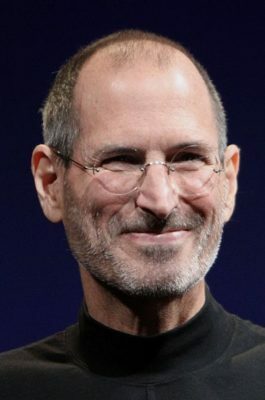 This became known as the “Steve Jobs loophole.” The late founder of Apple apparently hated going through the process of getting license plates, so instead, he would just buy a new vehicle every six months — meaning he never had to actually install plates. In 2011, a new law cut the loophole in half to 90 days. The law getting rid of it entirely was signed in 2016 and is just now going into effect on New Year’s Day. Once the new law is implemented, California will join 35 other states that require temporary plates. The move is expected to help police more easily identify and track down vehicles used in crimes. Drivers will also have a tougher time getting out of parking fines and toll collection. Right now, the state says it loses up to $15 million a year due to toll dodgers.